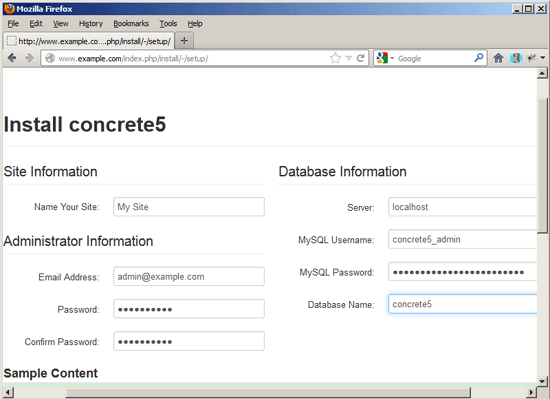 This tutorial shows how you can install and run a concrete5 web site on a Debian Squeeze or Ubuntu 12.10 system that has nginx installed instead of Apache (LEMP = Linux + nginx (pronounced "engine x") + MySQL + PHP). 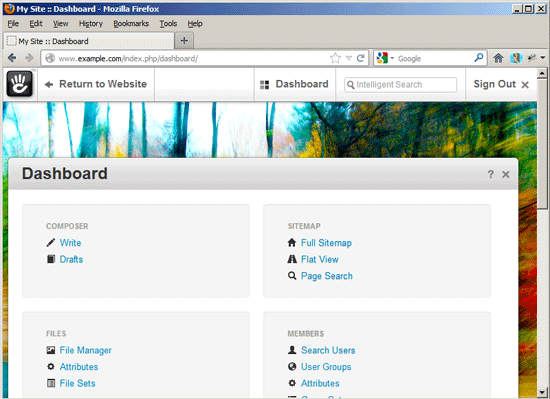 nginx is a HTTP server that uses much less resources than Apache and delivers pages a lot of faster, especially static files. 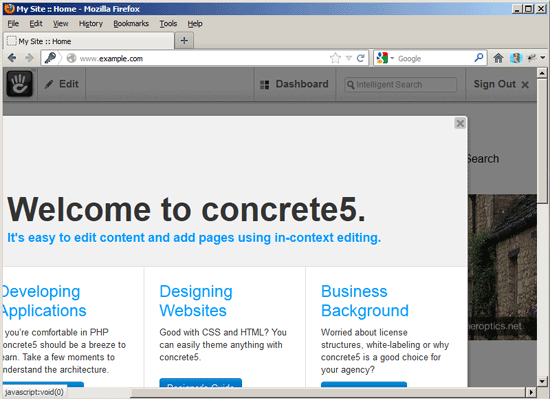 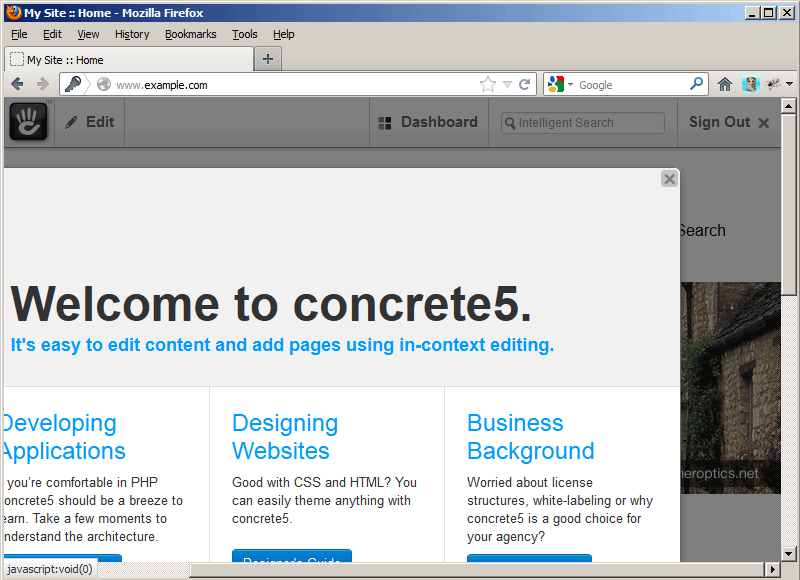 concrete5 is a free and open-source content management system (CMS). 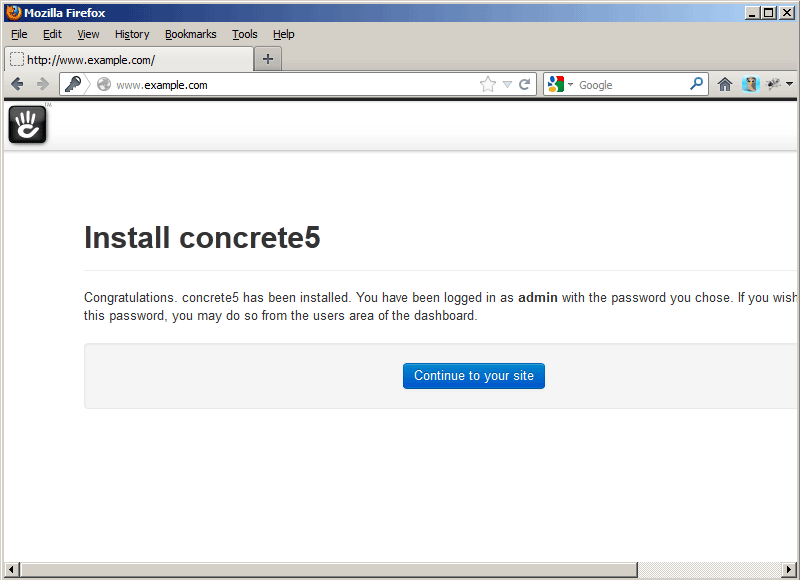 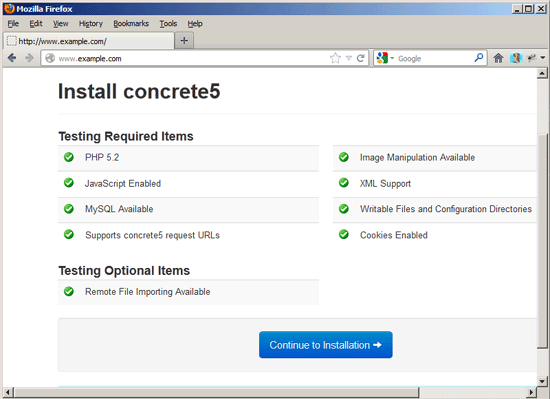 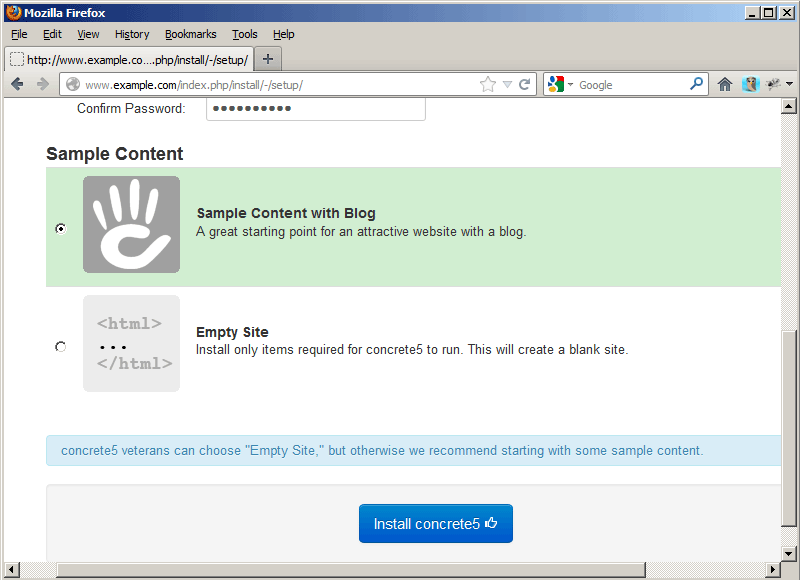 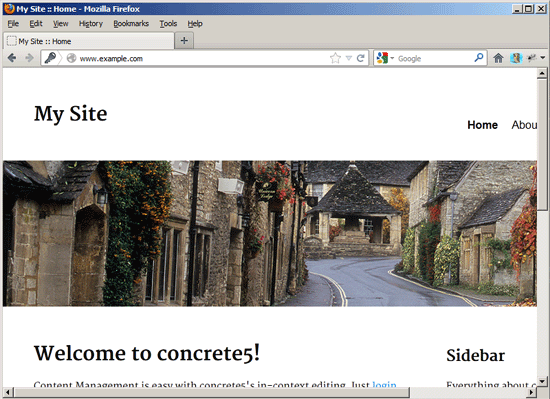 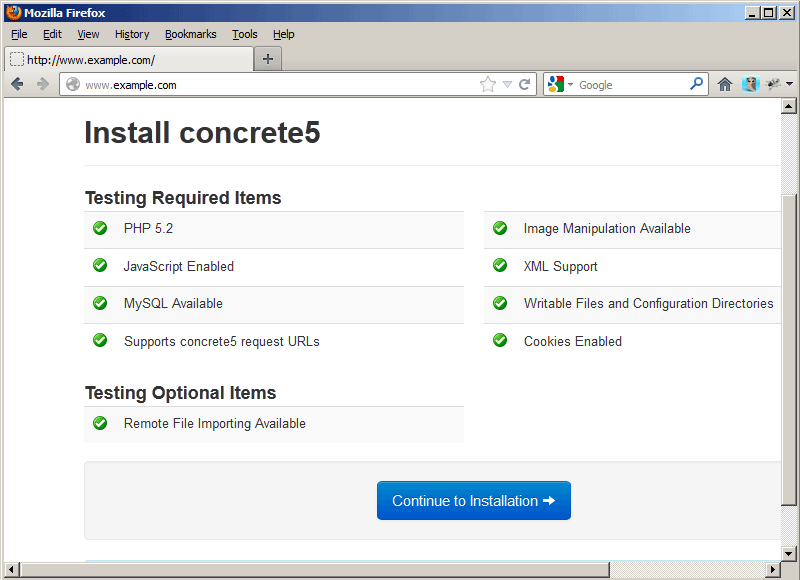 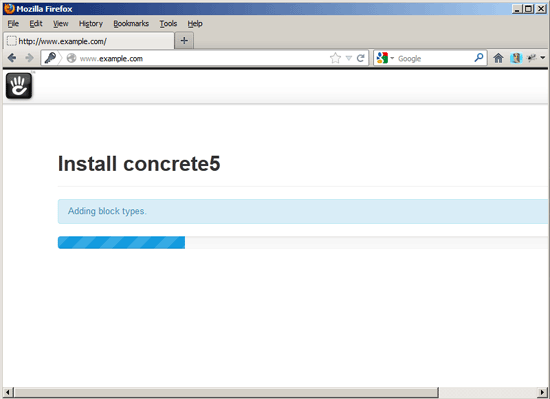 I want to install concrete5 in a vhost called www.example.com/example.com here with the document root /var/www/www.example.com/web. 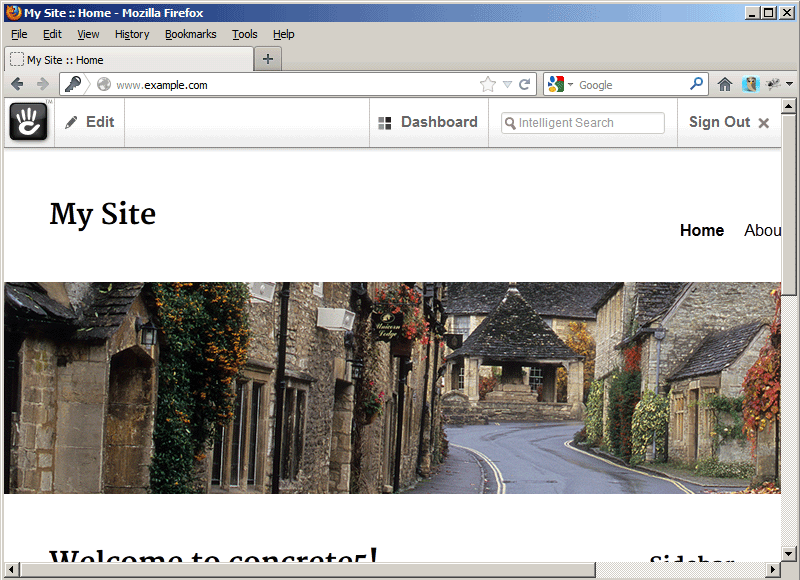 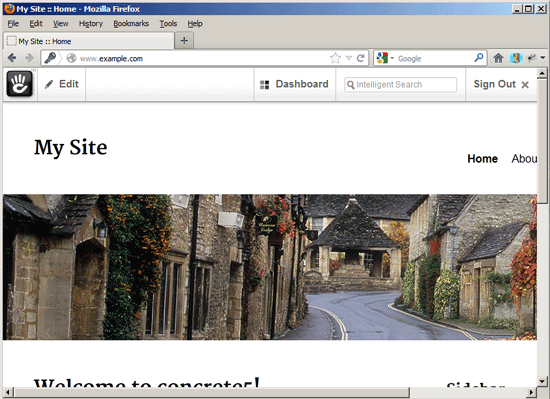 This is how your frontpage looks (with demo content). Real URLs should work out of the box.